Please Join Us for Our Inaugural Tech Exec Series Event! 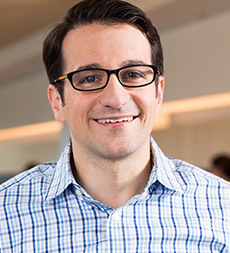 Dan Scholnick is a General Partner at Trinity Ventures, focusing on early stage technology investments in Cloud Infrastructure and Developer Services. Some of Dan’s current investments include New Relic, Docker, InfluxData, Bulletproof, Workpop and Serverless. An entrepreneur himself, Dan founded Flurry (acquired by YAHOO! ), the leading user analytics platform for mobile applications. Dan began his career as employee number two at Wily Technology (acquired by CA) where he built the first version of the company’s application performance management product and then helped sell it to many of Wily’s Fortune 500 clients. Dan also worked at SVB Capital where he made venture investments in software and internet services companies. Dan received an M.B.A. from Harvard Business School and an A.B. in Computer Science from Dartmouth College. Click here to see our HALF-YEAR rate!